Eurodiving is operating all the year. From March until November we organize dive excursion every day. The winter period during the weekends and weekdays only after arrangement. We have selected more than 25 dive spots which are renewed as often as possible.We offer recreation dives, technical dives, and Scuba Diving Courses of PADI and IANTD. You are on summer holidays in Crete and you would like to dive? It’s easy! 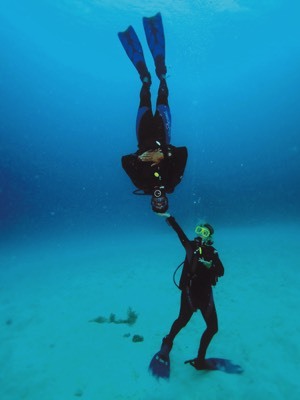 Every day Eurodiving organizes two dives. In the morning we pick you up from your hotel or you come by your self. At 10:00 o’clock you have to be at Eurodiving for the morning dive, at 12:00 o’clock for the noon dive. You are going to visit our base, fill out the procedures forms, fix your equipment, get a briefing and then we’ll go for diving! We are going to make 1 hour break between the two dives. Enjoy it to relax and to have a lunch. You can order lunch directly to our base or bring your own food. 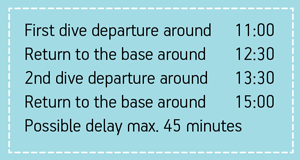 If you want to make only one dive, you can stay at the base and take advantage of the calm in our bay. In Lygaria bay there are many facilities like “taverns”, a mini market and sun bed rental. (Attention. No cash machine.) After cleaning your equipment and adding the dives into your logbook, we will bring you back to your hotel. BEACH DIVE: Make an easy and shallow dive from the beach in our beautiful bay of Lygaria. BOAT DIVE: You can explore our 25 dive spots, rich and varied for all levels. CHECK DIVE: Refreshment skills in the bay of Lygaria for divers with less than 20 logged dives or non active for more than 1 year. 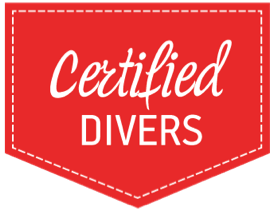 SPECIAL DIVES: We organize private or special request dives, full day diving trips, cave dives, wreck dives and technical dives. Note: The equipment is not included, but you can rent it in our diving center.